Some Mercedes models are the epitome of on-road luxury. Others are almost unrivalled for off-road prowess. 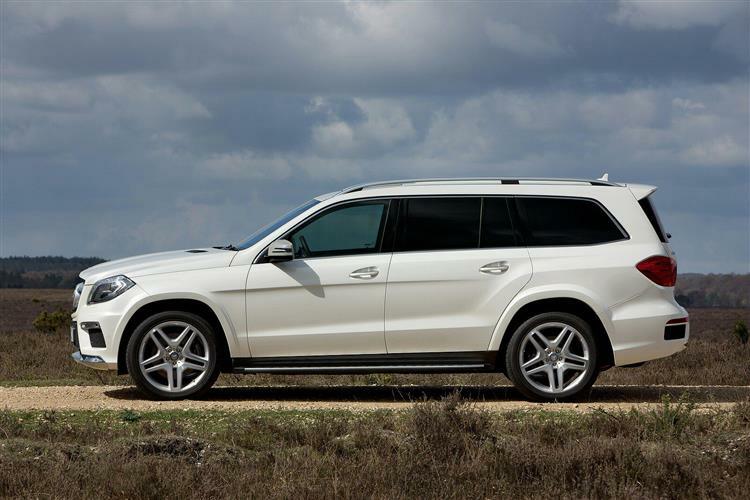 And then there's one which claims to offer the best of both: the 7-seat SUV that in the 2013 to 2015 period was known as the GL-Class. This is the very few super-luxury SUVs that can seat seven fully-sized adults. And it's the only one that can do so whilst offering a properly dynamic drive on road as well as extreme capability off it. This was the second generation version of the GL-Class model line and it was claimed at launch to be smarter, plusher, more refined and even more appealing, which ought now to make it a very strong used buy. Got a family? You'd like one. This, if you haven't yet come across it, is a vehicle billed as 'the S-Class of SUVs', a luxury conveyance for those whose real - or more likely imagined - commute to the real world is from a craggy mountaintop. We first saw it in 2007, built in America for Americans and since then occupying super-sized shopping mall spaces from New York to New Orleans in ever-increasing numbers. Over there, it was a necessary addition to the brand's luxury SUV line-up, given that for Yanks, the five-metre-long M-Class from that era was pretty compact and the exorbitantly-priced G-Class was too crude for most. With the GL, the brand had something to take on the all-conquering Range Rover that would offer well-heeled buyers the added benefit of seven seats. 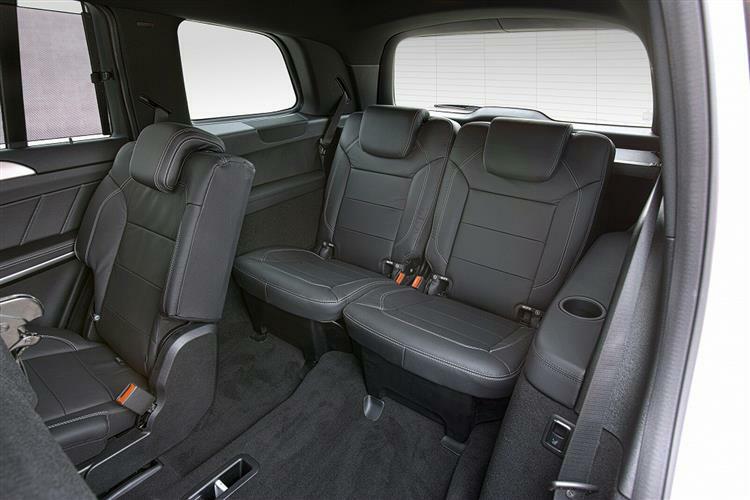 It's that third seating row that's always set the GL apart in a luxury 4x4 market that rarely offers this option - or if it does, often restricts practical use of the extra seats to children. Not so here. Hence perhaps, the bigger-than-expected take-up for the first generation version of this car on these shores - a market that most commentators expected would find this model a size or so to big. Though even larger in the guise we're going to look at here - the second generation design launched in mid-2013 - greater familiarity with cars of this size means that it actually doesn't seem quite so huge these days. And the sleeker shape clothes a GL-Class that's cleverer, more comfortable, quieter and more efficient than the original MK1 model. 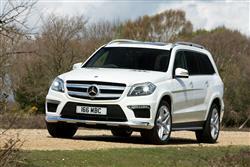 This design sold only until early 2016, when it was replaced by a facelifted version that was re-branded the 'GLS'. So, it's big - of course it is, even more so than the car it replaced, which already was large enough to make your neighbours question their right-to-light restrictions. This MK2 model was longer, wider and taller than its predecessor, with more than three metres between its wheels and a total length of nearly 5.2m. So you'll need a very large garage. Having said all that, this is a design that's remarkably effective in concealing its bulk, thanks to sleeker looks and well balanced proportions, with short body overhangs at the front and rear suggestive of off-road prowess. As with the MK1 version, there's a car-like monocoque construction under the skin that in this guise was lighter than before thanks to the use of aluminium in the bonnet and wings, despite which this car is still heavier than a rival Range Rover. The front is dominated by an upright radiator grille with a centrally-mounted three-pointed star and jewel-like hi-tech headlamps showcasing the cleverness of the brand's Intelligent Light System. Follow the rising belt line to the rear, admiring the 21-inch 5-spoke AMG alloys and the aluminium running boards as you go, and you might notice the neat small kink near the C-pillar, one of the things that makes the rear seem a little less bulky. At the back, you'll find two-piece LED tail lamps, a large roof spoiler, a bumper with a modern wing design and an underbody panel with extensive areas of chrome. 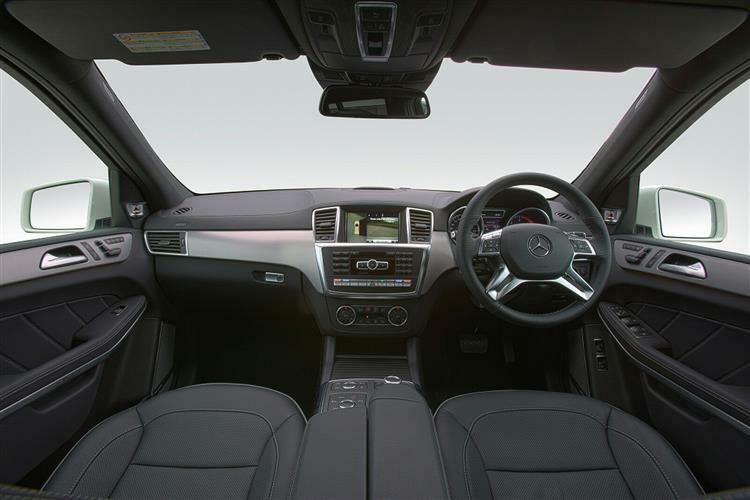 Right, onto the interior - and we're going to start with the thing that sets this car apart in its segment - the space you'll find at the very back. The fact that it has three seating rows at all is fairly unusual in the super-luxury SUV sector, setting this car apart from, say, the Range Rover or the Porsche Cayenne. And the fact that in that third row, two fully sized adults can be properly accommodated is even more unusual, setting this car apart from slightly smaller rivals like the Range Rover Sport or the Audi Q7. The wide-opening doors ensure easy access and because Mercedes' 'Easy Entry' system allows both left and right hand sides of the second row seating to completely shift forward, access to the very back is easy, particularly if you've specified the motorised Easy Entry package. Once installed at the very back, there's quite as much space as you'd find in any large MPV. If you've owned a MK1 GL-Class or used one, then you'll know that two big burly folk could also fit into the rearmost row of the original version of that car - but you'll also know that they would have struggled for comfort on a longer trip. Thanks to the extra 9mm of headroom and the extra 19mm of elbow room provided in this second generation design, that's here not such an issue. Find yourself in the middle row and there's also a little more head and elbow room than there was with the first generation model, with decent space for three people who can adjust their seats for legroom and backrest angle. And up-front? Well, it's pretty much exactly as you'll find in a Mercedes M-Class luxury SUV from this era, which means that, though very nice indeed, the whole ambience isn't as glamorous as that of a Range Rover or Porsche Cayenne. Still, the brushed aluminium trim is nice and you'll find the stitched Artico artificial leather actually looks quite nice if you're not prepared to push the boat out and pay loads extra for a car that was originally fitted out with the designo nappa leather trim package. Through the four-spoke leather-trimmed multi-function steering wheel, you view two clear round dials separated by a 4.8-inch colour display. While in the centre of the dash, there's the usual large colour display screen for the COMAND infotainment system, operable by a rotary controller positioned where the handbrake would be if it hadn't been replaced by one of those fiddly electric under-dash catches. That leaves luggage space. Lift the huge tailgate and there's actually a reasonable amount - 295-litres - even when you've got all seven seats upright. Use the neat electric folding system to flatten the third row into the floor and that figure increases to 680-litres, pretty much the same as you'd get in an equivalent M-Class. Flatten the second row as well though, and you'll find this GL much bigger than its Mercedes stablemate, offering a huge 2300-litres, about 15% more space than you'd get in, say, a Range Rover or an Audi Q7 from this era. (approx. based on 2013 E350 BLUETEC model) Brake pads are around £25-£30 for cheap brands and between £60 and £65 if you want an expensive make. A drive belt is around £16. Oil filters cost around £25. Wiper blades cost £10-£15, depending on the brand you choose. A drive belt is around £25, whilst oil filters weigh in at around £7-£10. A water pump will cost around £90 and for a timing chain you'll be looking at about £185. Not everyone is going to feel comfortable piloting something of this size but provided you do, then GL-Class motoring is a pretty fabulous way to view your everyday world. The great all-round visibility you get from your lofty perch behind the wheel makes manoeuvrability a lot more straightforward than you might expect and in any case, other road users tend to scatter as you bear down upon them. There are, in theory, two models on offer, but given that one of them, the GL63 AMG, has a thirsty 5.5-litre petrol V8 installed up-front, in practice almost all buyers of a MK2 model GL-Class will be looking for the GL350 BlueTEC diesel variant. This, apparently, was F1 driver Lewis Hamilton's company car, but presumably he had one because he wanted something completely opposite to the kind of thing he drove in his day job. This GL-Class fits that brief perfectly. As to be fair you'd expect, given its sheer bulk and two and a half tonne weight. To try and help matters, Mercedes specified all variants with its AirMATIC air suspension system, a set-up eaturing ADS Adaptive Damping as standard on all UK models, enabling the ride quality to be varied between 'Comfort' or 'Sport' modes. If you're someone likely to be using the firmer of those two options on a regular basis, then you'd do well to try and find a model that was originally specified with the optional Active Curve System, a set-up which uses active stabilisers on the front and rear axles to restrict bodyroll through the corners and offer a sharper response from the variable ratio steering. The effect is astonishing if you're on a twisting secondary road and running late for the school play or something (the only eventuality in which we can imagine anyone wanting to throw a car of this size around). Enough to make this GL-Class as responsive as a Porsche Cayenne or a BMW X5 to drive? No. 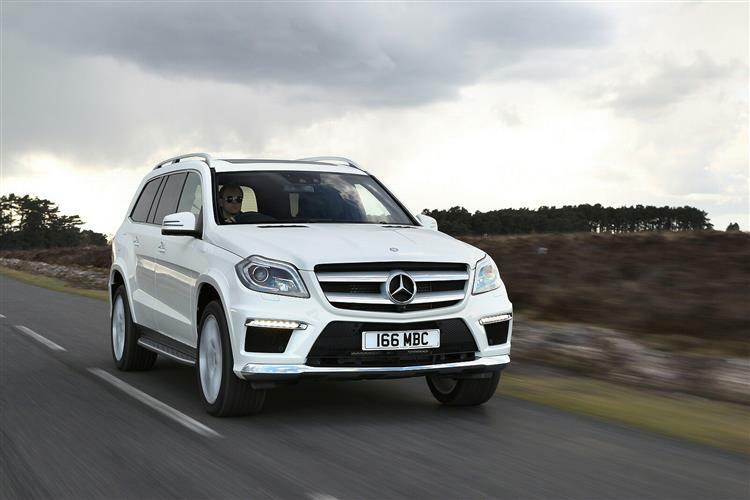 But then these are smaller, five-seat-only luxury SUVs that Mercedes more closely targeted in this era with its slightly more compact M-Class model. They're also nothing like as good as this model off road. It's still got a car-like monocoque body, so it won't be as clunky as something like a Toyota Land Cruiser V8 or Mercedes' much cruder G-Class Gelandewagen. But within the confines of that design approach, a GL really can be very capable off the beaten track. 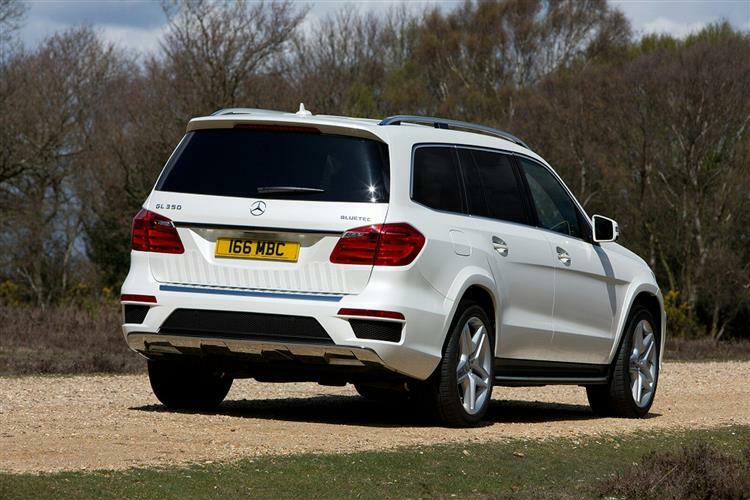 It's got permanent 4WD of course, an 'intelligent' 4MATIC system with a 50:50 torque-split front-to-rear and a '4ETS' electronic traction control set-up that includes an off-road button you press to activate a special off-road driving programme. Once you do, the slip threshold of the wheels, the throttle sensitivity, ABS and ESP intervention and the change points of the 7G-Tronic Plus seven-speed auto transmission are all tweaked to suit off piste use. You also get Hill Start Assist to help you start off up steep slopes you can then more easily descend from using a Downhill Speed Regulator that'll ease you to the bottom. All of that will be quite sufficient for the needs of most likely buyers, but for those intending to drive off road regularly, Mercedes offered at original point of purchase the extra cost 'On & Off Road Package'. It's worth seeking out a car fitted with this. If you find one, you'll get yourself a GL that allows you to choose between no fewer than six driving programmes, three for on-road, two for off road (to suit either easy or difficult trails) and an automatic setting for when you can't be bothered to decide. More importantly, this package gives you the proper low range gearbox and differential lock that standard GLs lack, along with under-body protection and a raise in ride height from 216 to 306mm to try and ensure you that you won't get stuck in the first place. That height increase will allow you to wade through water up to 600mm deep too. For the ups and downs of off road living, there's a 20-degree breakover angle, a 30-degree approach angle and a (not quite so impressive) 25-degree departure angle. There are special off road light to illuminate your way at speeds of up to 31mph. And axle articulation is superb: even without the differentials locked, the electronics distribute power so that if necessary, you can drive along with two wheels airborne. It all sounds impressive but of course, what really matters is the way this car performs on-tarmac. The quoted 4.9s 0-62mph sprint time of the 557bhp GL63 AMG petrol V8 model sounds faintly frightening but there's plenty of reason not to choose that variant given the relative rapidity of the 258bhp GL350 BlueTEC diesel derivative. A potent 620Nm of torque from the 3.0 V6 up-front means that the 62mph sprint is dispatched in just 7.9s as the 7-speed gearbox elegantly slurs you on towards a 137mph maximum. The all-important 30-70mph overtaking increment occupies just 8s. So yes, this car can really move when it needs to. What's most astonishing though, is the sheer silence that accompanies such relatively rapid progress as you cruise along on pillows of AirMATIC air. Mercedes reckons that, thanks to the relatively sleek shape, an acoustic windscreen and minutely detailed NVH engineering, cabin refinement rivals that of their S-Class limousine, which is astonishing for something so big and boxy. There's nothing quite like a GL-Class and if you're a wealthy American considering a used example of one of these against obvious US rivals like Cadillac's Escalade or a Lincoln Navigator, then buying this Mercedes must seem like a no-brainer. This side of the Atlantic, it's also a pretty simply choice, provided that you're in the unusual position of wanting a huge 7-seat super-luxury SUV that can climb the lower slopes of Snowdon, then stop by Sainsburys on the way to an evening at the Ritz. If a car that can do all that is somewhere on your wish list, then you won't be disappointed with this one. The thing that changed with this second generation GL-Class model was a broadening of its appeal. N this guise, it was better able to reach out below its price point to an Audi Q7-class customer. And above its asking figure to lower-order Range Rover buyers. These people may not necessarily need this car's huge size or ultimate off-road prowess but hey, they didn't really need a big SUV in the first place, so why not buy one that really ticks all the boxes? This GL-Class does and in second generation form, manages to do so with a far more dynamic personality. True, it's not quite the all-round proposition a Range Rover can be but in many respects, it offers far more car for much less money. Which means that in your SUV search for the biggest and the best, you shouldn't overlook it.